Graduating senior Catie Owen has been awarded the W. A. Haviland Medal for Outstanding Achievement in Anthropology. The Haviland Award is presented to a graduating senior who has demonstrated a strong commitment in finding solutions for real-world crises through the use of anthropological perspectives. Catie, who graduates with honors in Anthropology this weekend, explained that she had no idea what anthropology was until she got to college. Some of the first conversations she had that were related to anthropology were on the topic of female genital mutilation (FGM) and cultural relativism. These conversations would take place among friends and individuals that lived in her dorm her first year in college. “One of the girls on my hall was taking an anthropology class at the time and would come home with all of these interesting topics for debate. Often our hallway conversations turned to discussing the ethics surrounding the practice of FGM.” She told me that these discussions helped spark an interest in Anthropology. 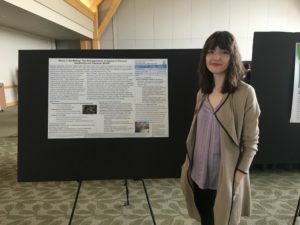 When Catie transferred to the University of Vermont as a sophomore, she decided to enroll in an introductory course in anthropology. “I owe my commitment to Anthropology entirely to my professor Dr. Ben Eastman and his course in Cultural Anthropology.” She said that Ben was the one responsible for “converting” her to pursue the discipline. “My thesis topic was about women’s agency and fulfillment in planned homebirths and planned cesarean births.” In her junior year, Catie studied abroad in Spain. “Jeanne Shea helped me plan around my time abroad so that I was able to conduct some preliminary research in London.” Catie was able to meet with two prominent scholars whose research focuses on “women-centered” birthing techniques in planned cesareans, and these conversations helped ground the ethnographic research that she would conduct during her senior year. “During my research, I conducted 11 interviews with providers and women who were having the types of births I was researching.” The research focuses on women’s experiences of their births and how these experiences are culturally and socially influenced. One major leadership role Catie had was being a co-president of the Anthropology Club. “One thing I really tried to do was initiate student outreach at Burlington High School.” “I feel that it is important to expose young minds to anthropology and anthropological ways of thinking. 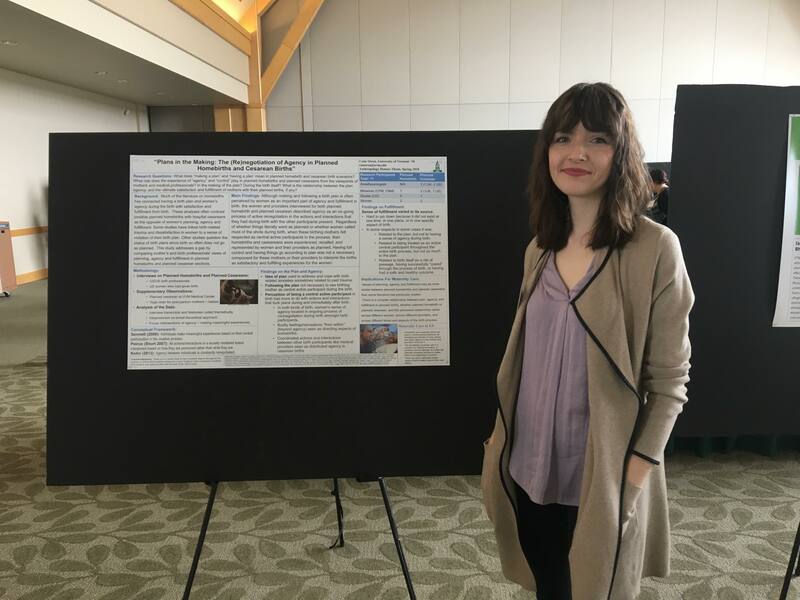 I see a lot of potential for reconstructing the education system around anthropological principles.” Sharing knowledge even with other students such as first- and second-year students is extremely important to her. She really enjoyed being a mentor and inspiring younger students during her time here with her passion for the discipline. This entry was posted on Friday, May 18th, 2018 at 8:38 pm and is filed under Uncategorized. You can follow any responses to this entry through the RSS 2.0 feed. Responses are currently closed, but you can trackback from your own site.